No Ho Arts District – Toluca Lake adj.! This 2 BR + 2 BA unit is in perfect location (facing north!) The open floor concept greets you when you enter this great home! Kitchen and breakfast- bar open to the dining area that opens to the living room with view of a cozy Zen balcony surrounded by greenery of mature trees. This is the real-deal! Accommodating floor plan: two bedrooms, separated from each other, have two full bathrooms. 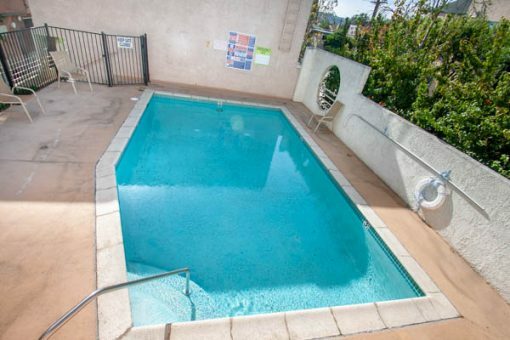 The location is phenomenal: conveniently close to Hollywood freeways: 170, 134, and 101 Fwys. A few blocks to Metro Rail. Universal Studios is down the road a bike ride! Minutes to all major studios: Disney, Warner Bros., Sony, etc. 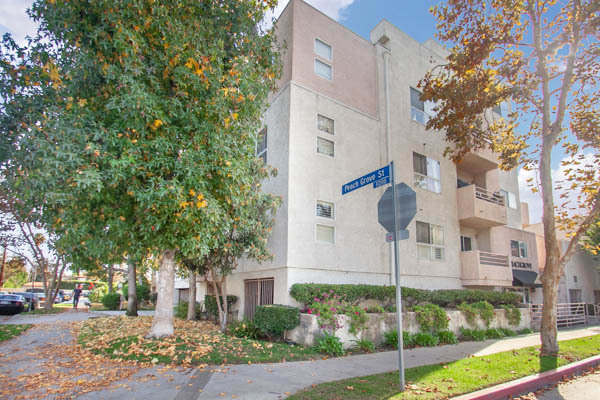 In proximity to No Ho Arts Districts’ theaters on Lankershim, to the Academy of the Arts, and to Tujunga Park & Library and the popular YMCA. Just minutes to the No Ho West spectacular complex currently under construction! Building has a pool and an elevator & EQ insurance.